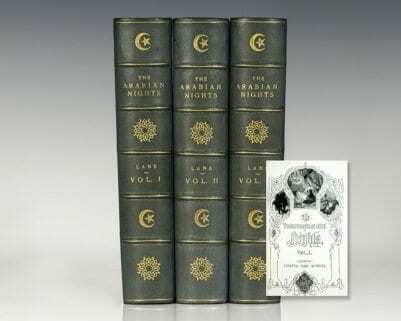 Complete works of Lord Byron. 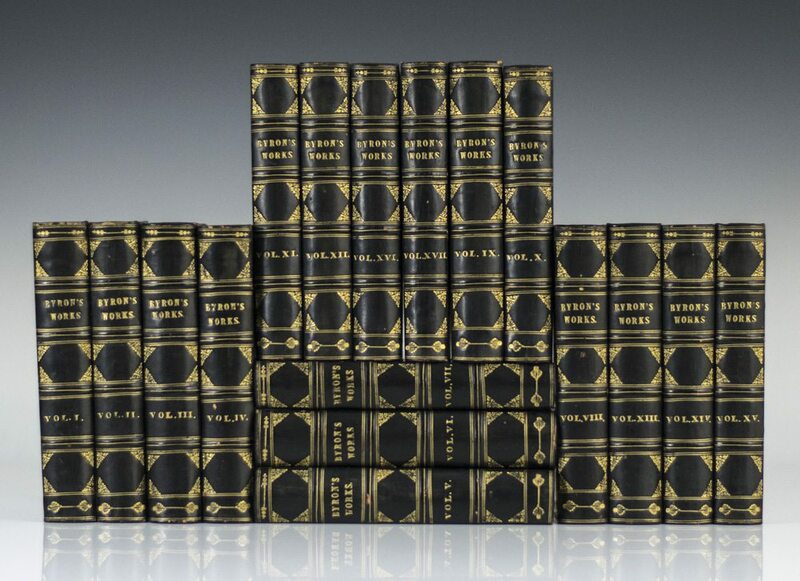 Small octavo, 17 volumes. Bound in three quarters morocco, elaborate tooling in gilt to the spine. Engraved frontispiece and tile-page in each volume by Finden. In excellent condition showing only light wear. A very attractive set. "Byron is to a far greater degree than the other romanticists the poet of humankind. He conveys with tremendous power the majesty and desolation of history, the vanity of pomp and pride, the transitoriness of fame. And he is the poet of contemporary society, keen to discern the false and the corrupt, courageous in denunciation yet with pity for the young and innocent… As a poet he mirrored brilliantly and without distortion an absorbingly interesting world" (Baugh, 1229). 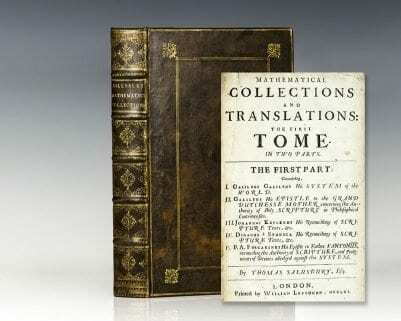 London: Printed for John Murray, 1816. 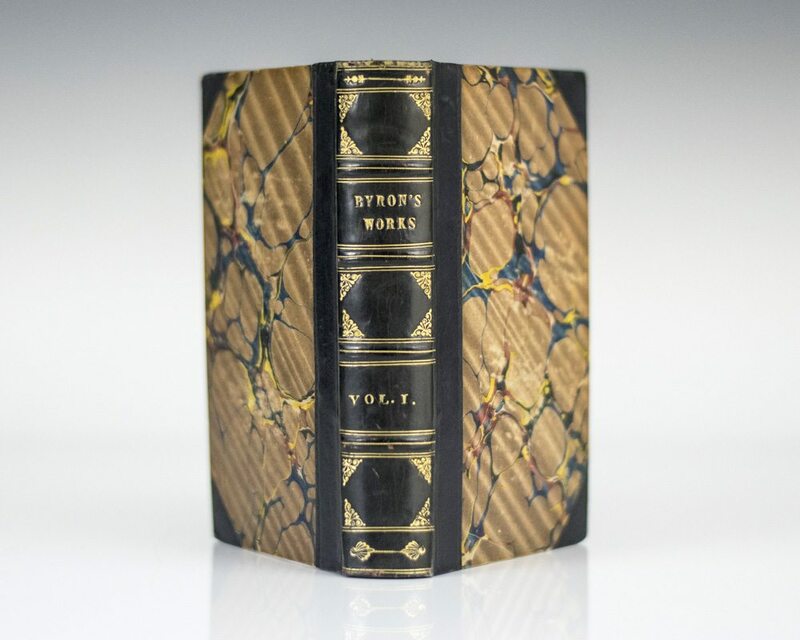 First edition of this collection of poems and verses. 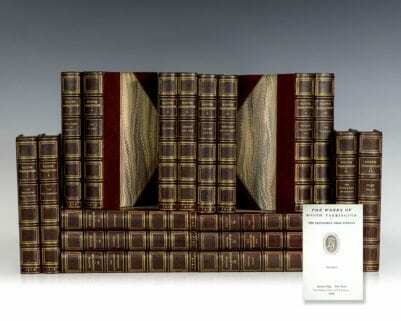 Octavo, bound in contemporary half morocco over marbled boards, gilt titles and tooling to the spine. In near fine condition.